After an epic conclusion to the 2017 WNBA season, we look back at 21 of the top moments from the 21st WNBA season. Diana Taurasi entered a June 1 game against Chicago needing just one 3-pointer to break a tie with Katie Smith for the WNBA’s all-time lead. Rather than settle for one, she matched her career-high with eight treys to set the new standard for shooters to chase. 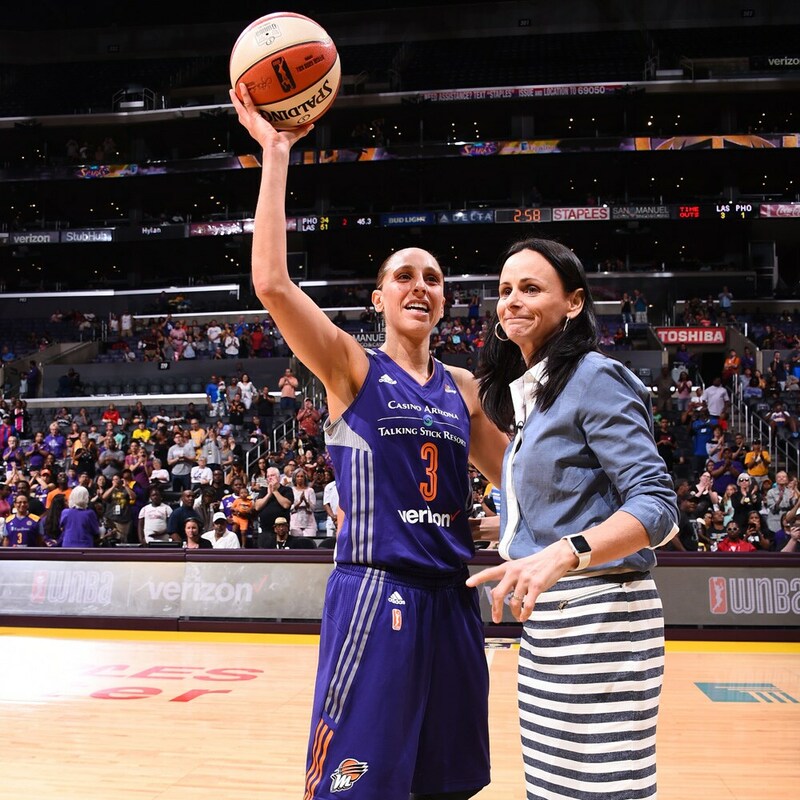 Less than three weeks later, Taurasi took down another legend as she passed Tina Thompson as the WNBA’s all-time leading scorer. With a layup in the closing seconds of the first half against L.A. on June 18, Taurasi scored her 7,489th career point to break the record. The mark stands at 7,867 and counting. 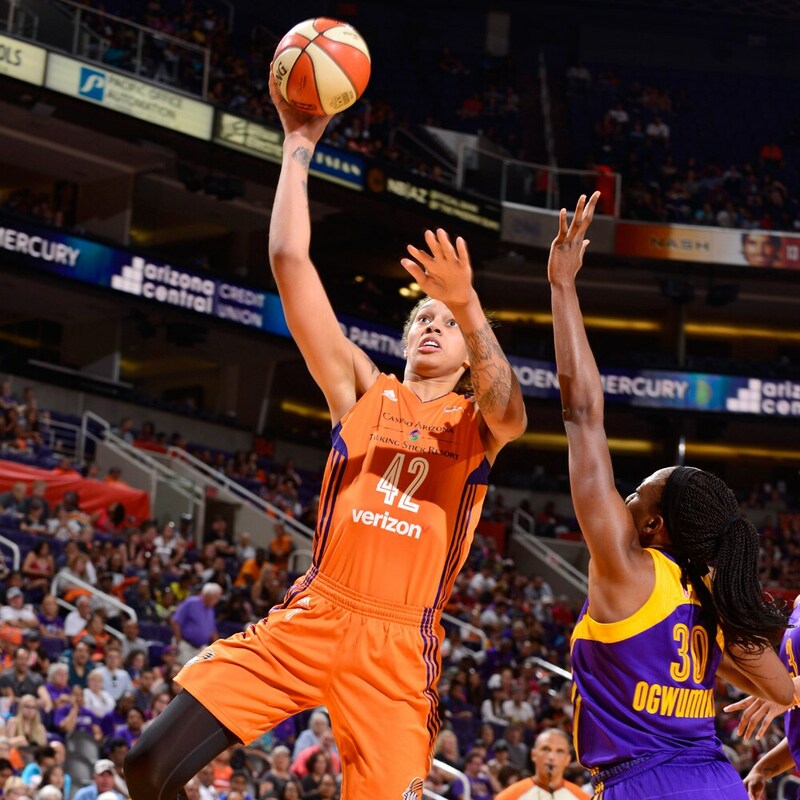 Who Will Challenge Diana Taurasi’s Scoring Record? Sue Bird has been the consummate point guard in the WNBA for over a decade and on September 1 she put her name into the record books passing Ticha Peneichiero as the WNBA’s all-time leader in assists. After missing an opportunity to break the mark in Seattle, Bird and the Storm headed to Washington to face the Mystics needing just three assists for the record. Bird would put on a passing clinic, dropping 13 dimes (just one shy of her career-high) including a perfect pick-and-roll pass to teammate Carolyn Swords with 3:35 remaining the first quarter to become the all-time leader. It wasn’t just the veterans that entered the record books this past season. Connecticut’s Jonquel Jones - the runaway winner of the Most Improved Player award - collected more rebounds in a single season than any player in the history of the league. On the final day of the regular season, Jones grabbed 10 rebounds to become the first player to surpass 400 rebounds in a single season, breaking the mark set by Tina Charles during her rookie season in Connecticut in 2010. Jones had three 20-plus rebound performances in her breakout sophomore season. 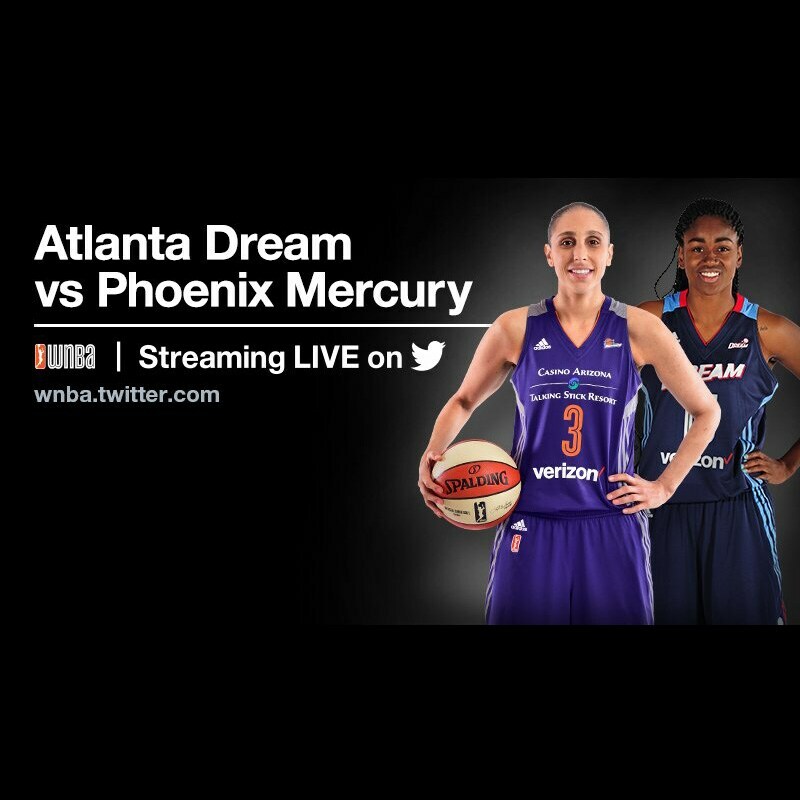 The May 14 matchup between the Dallas Wings and Phoenix Mercury became the first professional women’s sport to be live streamed on Twitter. 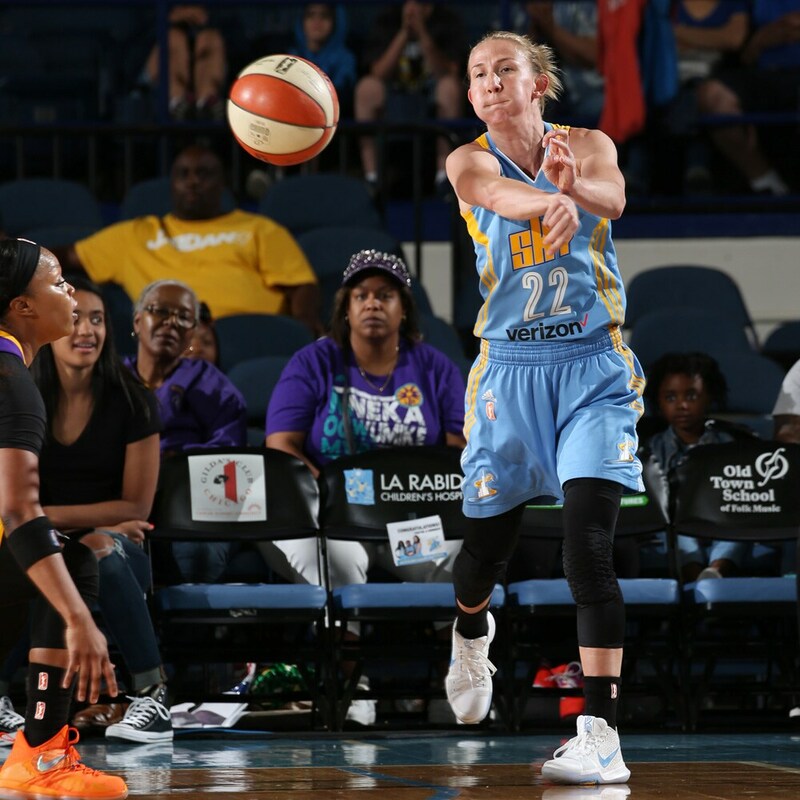 It was the first of 20 WNBA games streamed on the social media platform during the 2017 season as the first of a three-year streaming deal to bring the game to more fans in new and innovative ways. The regular season finale between New York and Dallas was streamed live on TIDAL becoming the first basketball event carried by the streaming service. The WNBA also launched a daily fantasy game with FanDuel to allow fans new ways to engage with the league. 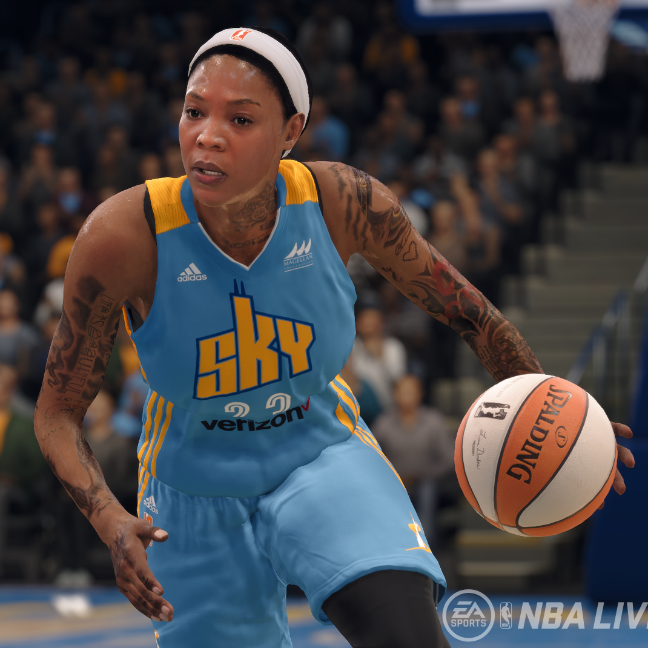 For the first time, the WNBA’s official roster of teams and players are available to play in a video game as part of NBA LIVE 18 from EA Sports on Xbox One and PlayStation4. The game offers a new way for fans to engage with their favorite WNBA teams and players and showcases the talents of the league’s stars. 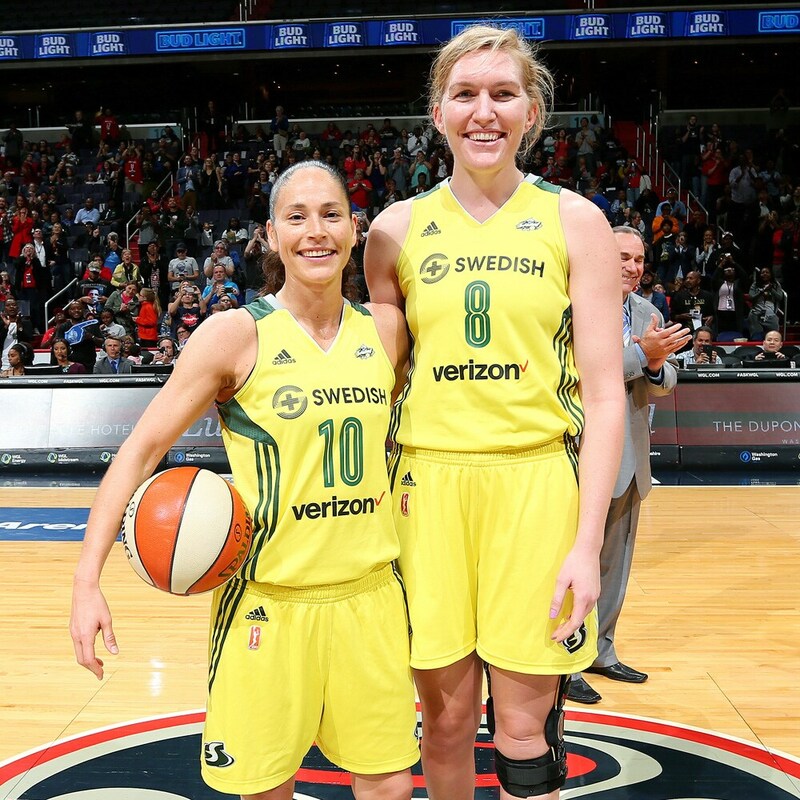 Delle Donne Debuts In D.C. When it came to offseason player movement, no transaction was bigger than 2015 WNBA MVP Elena Delle Donne being traded from the Chicago Sky to the Washington Mystics. 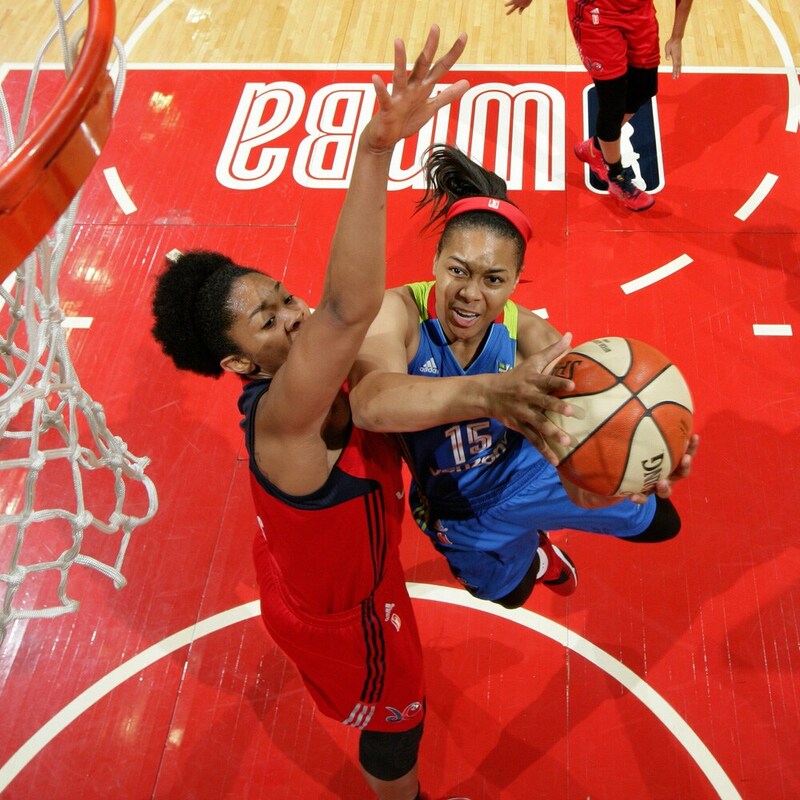 On May 14, the 2015 scoring champion notched 24 points in just 23 minutes to lead Washington past San Antonio. 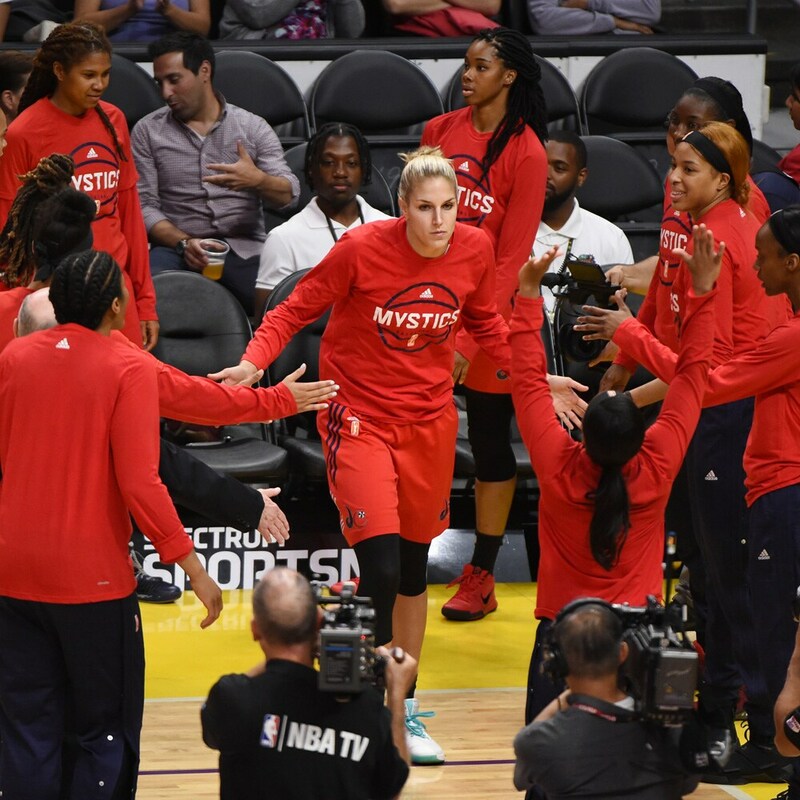 The Mystics would go on to win 18 games - a five-game improvement from 2016 - and qualify for the postseason. Washington matched up with Dallas in the single-elimination first round and defeated the Wings to advance in the playoffs for the first time since 2002. They would go on to upset the Liberty in the second round before being knocked out in the semifinals by Minnesota. The WNBA’s best traveled to the pacific northwest as the league’s midseason showcase was held in Seattle for the first time. 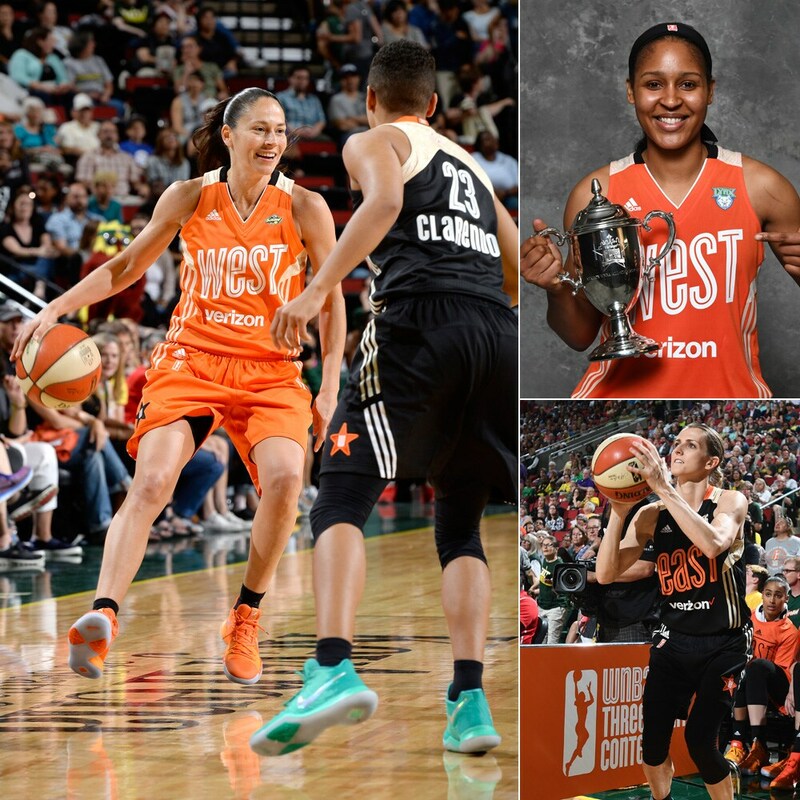 In front of over 15,000 fans inside a packed KeyArena, the WNBA All-Stars put on a show with the Western Conference earning a 130-121 win behind a MVP performance from Minnesota’s Maya Moore, who finished with 23 points to win the award for the second straight time. Chicago’s Allie Quigley put on a shooting clinic during the 3-point competition at halftime as she tallied an impressive 27 points in the final to defeat New York’s Sugar Rodgers. While Sue Bird broke Ticha Penicheiro’s record for career assists in 2017, Chicago’s Courtney Vandersloot broke another Penicheiro record for the highest assist average in a single season. Ticha’s mark of 8.0 assists for Sacramento in 2002 stood for 14 years before Vandersloot established a new standard for setting up teammates by averaging 8.1 assists in 2017. The seven-year veteran also had a record streak of six straight games with points-assists double-doubles. In 27 games, Vandersloot recorded a dozen double-digit assist games, including a season-high 14 dimes against L.A. on July 20. Brittney Griner has been a defensive force since she first stepped foot onto a WNBA court. This season - her fifth in the league - she matched that dominance on the other side of the court as she finished as the league’s leading scorer at 21.9 points per game. In winning her first scoring title, she increased her scoring average by 6.3 points over her previous career high of 15.6 points in 2014. The 6-9 center once again led the league in blocks at 2.5 per game becoming the first player to ever lead the WNBA in scoring and blocks in the same season. On a roster filled with All-Stars, Minnesota needed more from Sylvia Fowles in 2017 than they had asked her to provide since joining the juggernaut midway through the 2015 season. The 6-6 center responded with the greatest season of her career as she finished fifth in the WNBA in scoring (18.9 point per game), second in rebounding (10.4), tied for second in blocks (1.97) and tied for the league lead in double-doubles (20). She joined Tamika Catchings as the only players in WNBA history to win the MVP award for the first time in their 10th season or later. Since the WNBA All-Defensive Team award debuted in 2005, only three players have earned at least eight selections in their careers - Tamika Catchings (10), Sylvia Fowles (8) and Alana Beard (8). 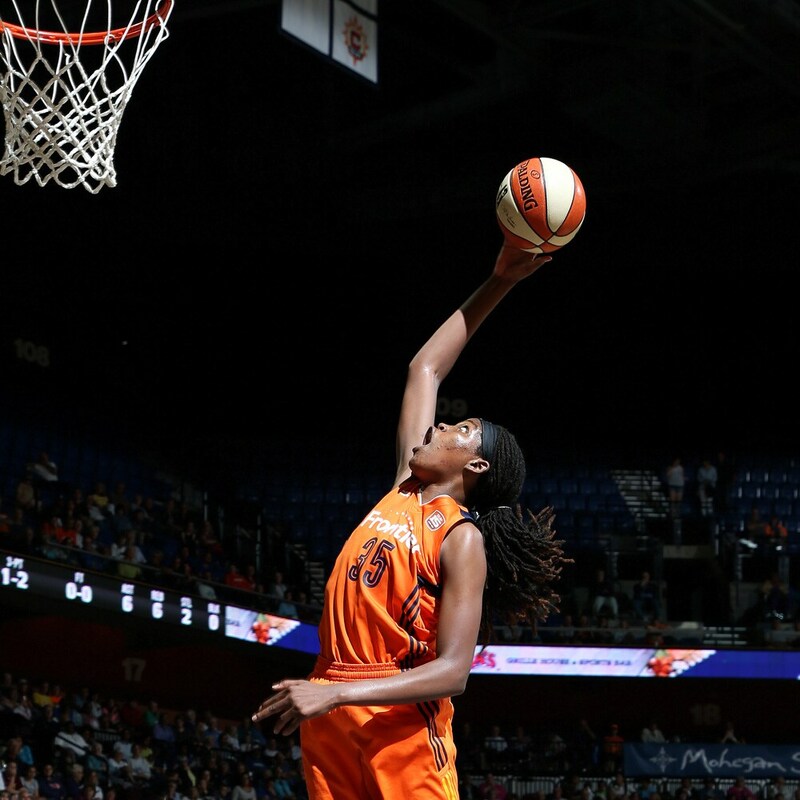 Catchings leads all players with five Defensive Player of the Year awards and Fowles is tied with Comets legend Sheryl Swoopes with three selections. In 2017, after leading the WNBA in steals (2.09) for the first time and powering an L.A. defense that led the WNBA in steals (9.29) and opponent turnovers (16.4), Beard won her first Defensive Player of the Year award. 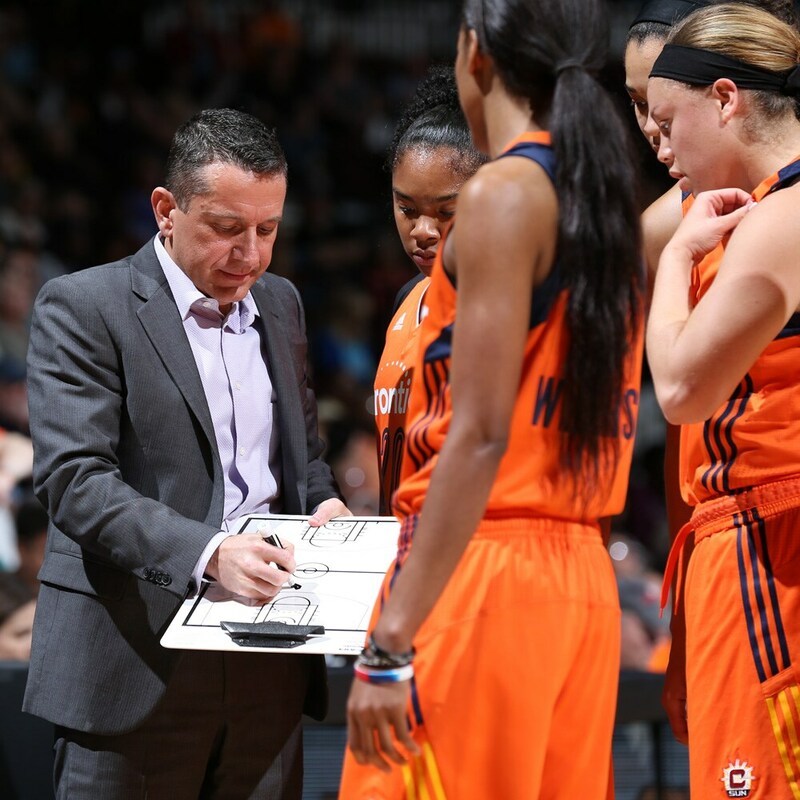 The Connecticut Sun finished the 2016 season with a 14-20 record, then lost All-Star forward Chiney Ogwumike to a season-ending injury while she was playing overseas, and opened the 2017 season by dropping five of their first six games. However,following a 1-5 start to the season, the Sun went 20-8 the rest of the way to finish at 21-13 - the fourth best record in the league. Spearheading this remarkable turnaround was Curt Miller, who was named both Coach and Executive of the Year as he guided a young and talented roster to the postseason, ending a four-year playoff drought for the Sun. The Dallas Wings have a roster stocked with young talent, including three of the top 10 picks in the 2017 WNBA Draft. It was the second of those picks - Allisha Gray - that made the biggest impact in her debut season. The fourth overall pick started all 34 games for Dallas, led all rookies in minutes played (27.2) and steals (1.53, 7th in the WNBA), while finishing second in both scoring (13.0) and rebounds (3.9). Her efforts helped the Wings make a five-game improvement from 2016 to finish 16-18 and qualify for the playoffs, a significant step for a young team headed in the right direction. The WNBA season consists of 16 weeks. 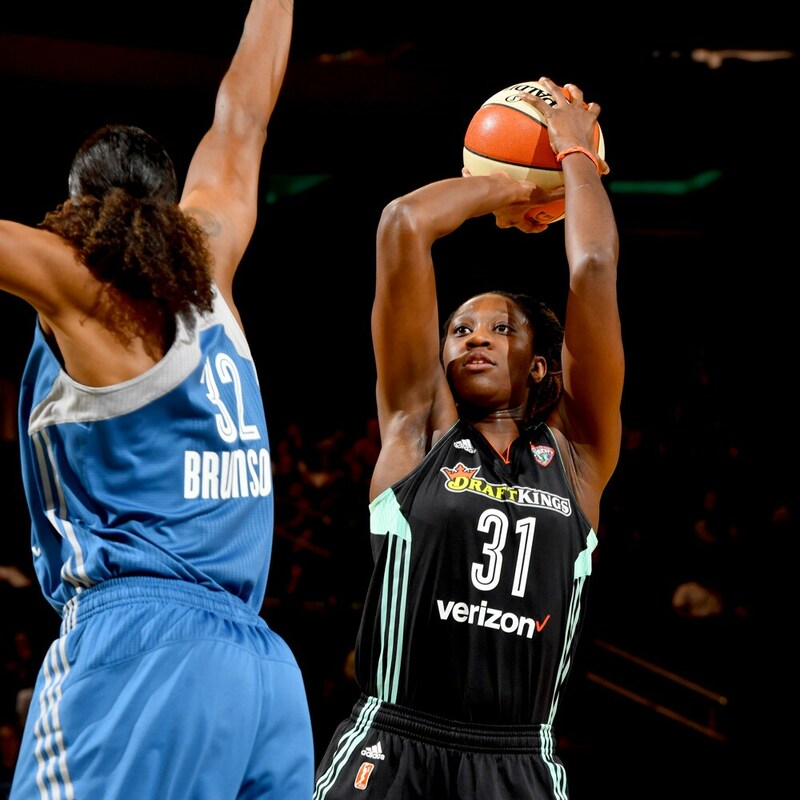 In seven of those weeks, New York’s Tina Charles was named the best player in the Eastern Conference. No other player in WNBA history has earned the weekly honor seven times in a single season. This was the second straight year that Charles had done so. In just eight seasons Charles has racked up 28 Player of the Week honors, a WNBA record that she will continue to increase in the years ahead. WNBA fans took the Watch Me Work campaign to heart this season as the league reached its highest attendance in the regular season since 2011 and in the postseason since 2010. 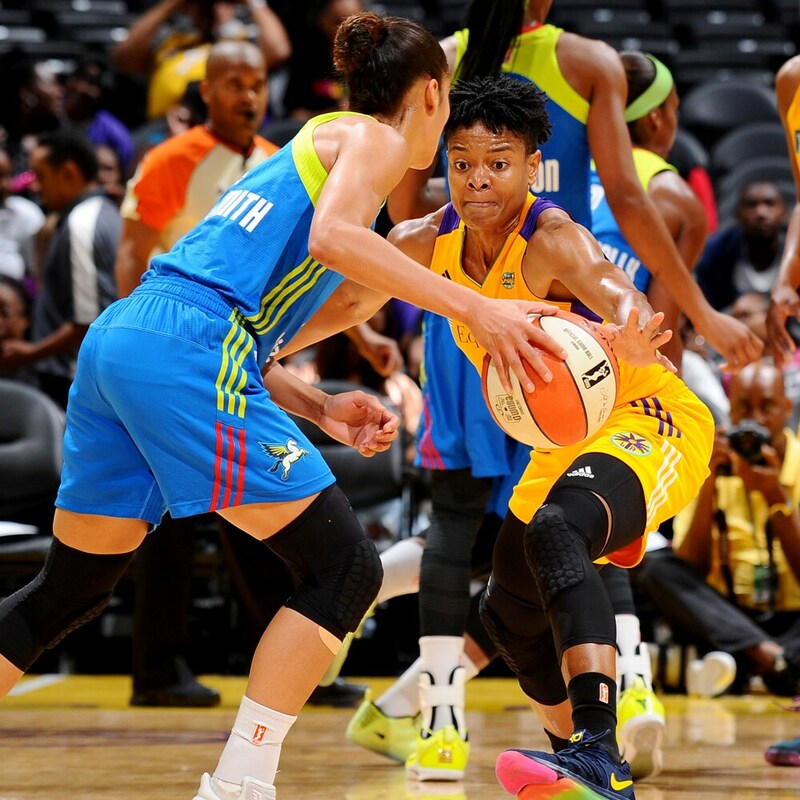 In addition to the regular season total attendance of 1,574,078 and average attendance of 7,716, the year was highlighted by double-digit attendance growth by the Los Angeles Sparks (+17.8%), Connecticut Sun (+15.3%) and Minnesota Lynx (+12.3%). That success carried over into the postseason with an average audience of 9,596 fans in 2017, more than 10 percent higher than last season. 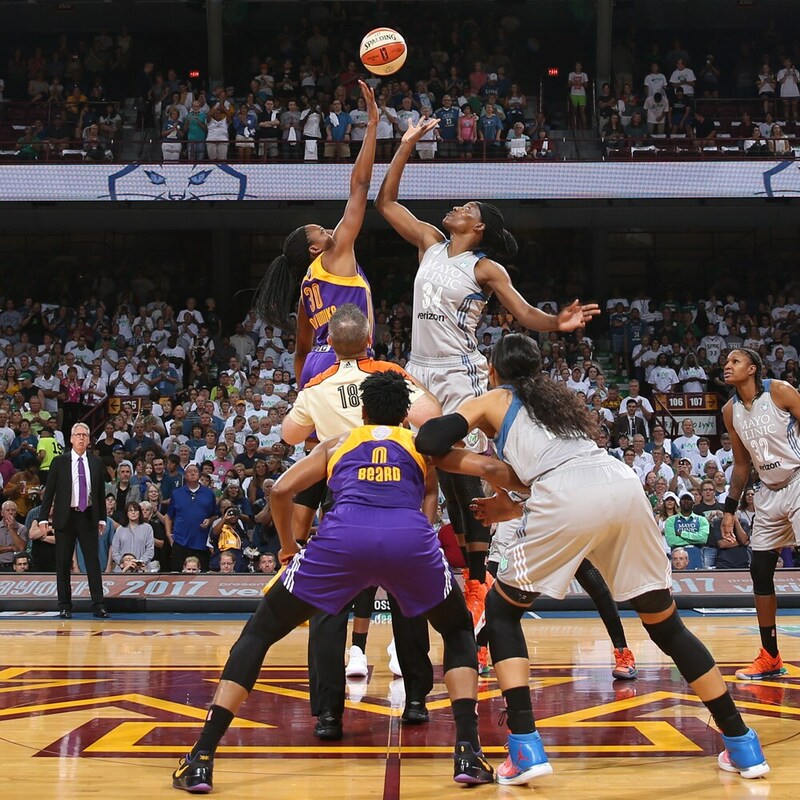 For just the second time in WNBA history, there was a Finals rematch as the L.A. Sparks and Minnesota Lynx met in the best-of-five championship series for the second straight season. 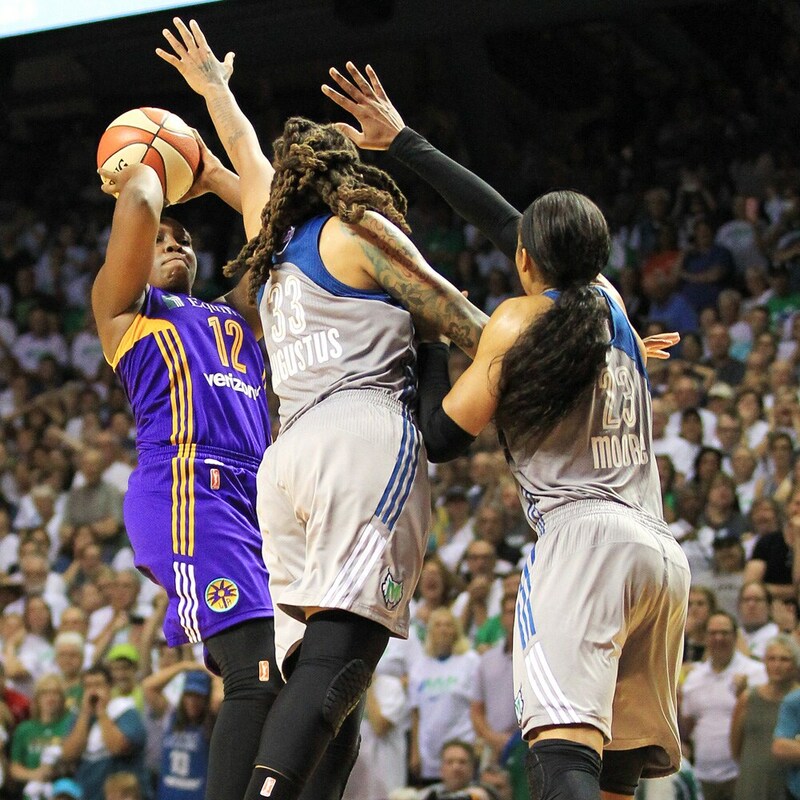 Since instituting a new playoff format in 2016 that takes the top eight teams regardless of conference, the WNBA Finals has come down to a matchup of the two very best teams in the league. Minnesota entered the postseason with the league’s best record (27-7) while Los Angeles was second (26-8) - four games better than any other team. What would have been a Conference Finals matchup prior to 2016, these two juggernauts are now able to meet on the game’s brightest stage. The result has been two of the best WNBA Finals ever contested. Not only was this a rematch of last year Finals, but once again the Lynx and Sparks would need all five games to determine a champion. 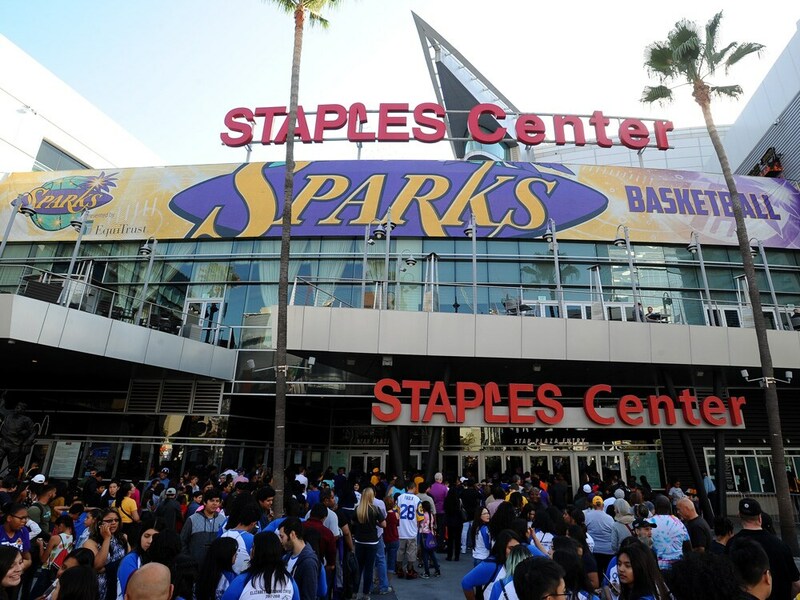 The script of the first four games played out in eerily similar fashion as well: the Sparks took Game 1 on a last-second game-winning jump shot; the Lynx fired back in Game 2 to send the series to L.A. tied at 1-1; the Sparks would take Game 3 and give themselves a chance to win the title on their home floor in Game 4; but Minnesota put forth a valiant effort to stave off elimination and send the series back to Minnesota for a winner-take-all Game 5. 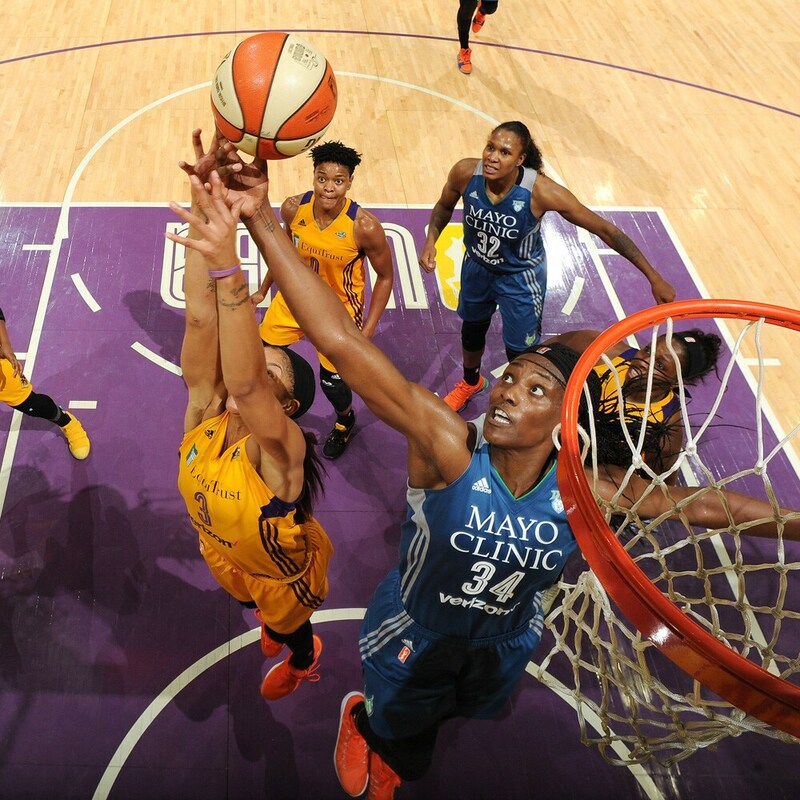 In 2016, the teams traded wins the entire series, with L.A. claiming the title in Minnesota on Nneka Ogwumike’s putback with 3.1 seconds left. In 2017, the Lynx had a chance to avenge that loss and win their fourth title in seven years. Which Team Will Land The Final Blow? When it comes to WNBA dynasties, the benchmark has always been the Houston Comets, who won the first four championships in league history (1997-2000) behind the trio of Cynthia Cooper, Sheryl Swoopes and Tina Thompson. 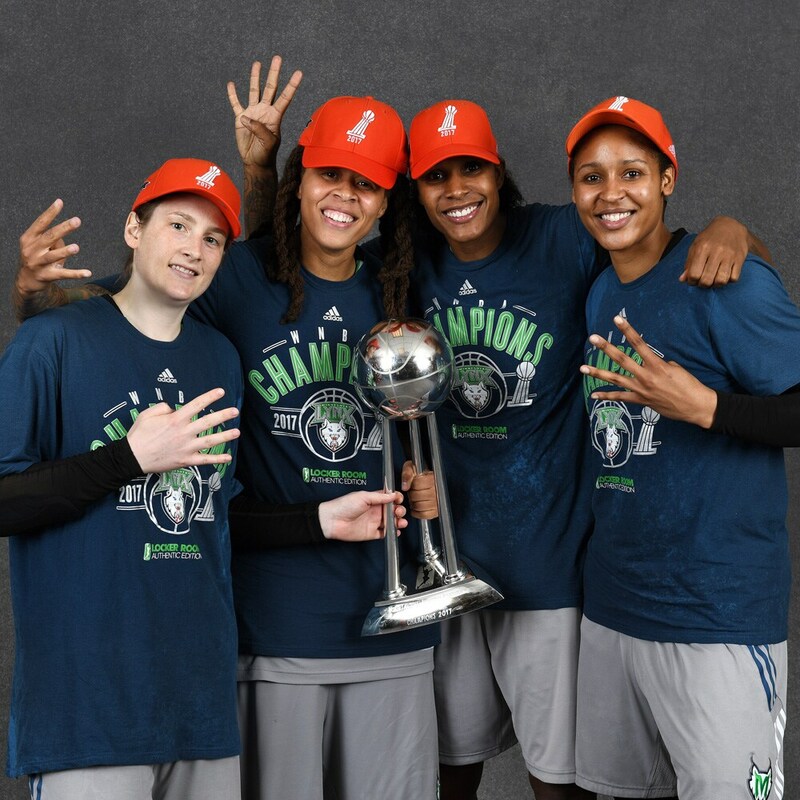 By winning their fourth title in seven years, the Minnesota Lynx joined the Comets as the only franchise to win four WNBA championships. Minnesota captured title number four in a hard-fought Game 5 win over Los Angeles. While the final score was 85-76, the Sparks were within three points in the final 35 seconds before Maya Moore knocked down a clutch pull-up jumper to ice the game. After failing to win the title a year ago, Minnesota’s "Roar For Four" was complete. 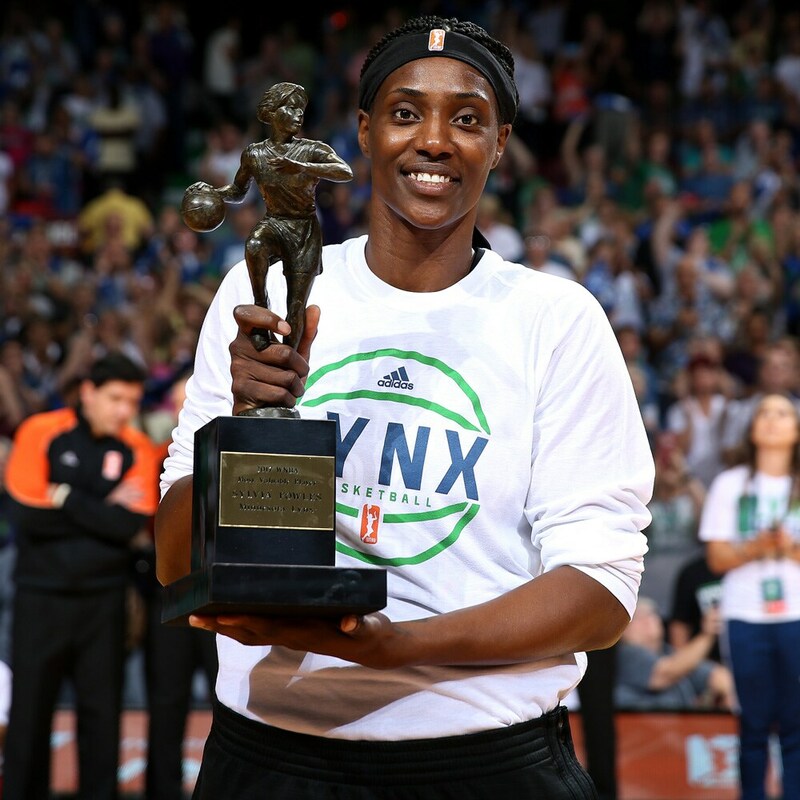 After losing the 2016 WNBA title by failing to grab a defensive rebound on L.A.’s final offensive possession, Sylvia Fowles made it known that the 2017 title would not be lost due to a lack of rebounding. In the decisive Game 5, Fowles grabbed a Finals record 20 rebounds to go with 17 points, 4 assists, 3 blocks and 2 steals en route to earning Finals MVP honors. The 20 rebounds in Game 5 broke the previous record of 17 that she set back in Game 2 of the series. Fowles became just the fifth player to win both regular season and Finals MVP honors in the same year - and the first since Lauren Jackson in 2010. She is also one of just four players to win multiple Finals MVP honors, having also won the award in 2015. When it comes to winning championships, few players can match the run that Maya Moore has put together. Since high school she has never gone two years without winning a championship. She arrived in Minnesota in 2011 and in the seven years she’s been on the Lynx, the team has made The Finals six times and won four championships. Over the past 15 years - dating back to high school - she has accumulated a 497-78 record (.864) in games she’s played in the United States. That doesn’t include the titles she’s won in her overseas professional career or her two Olympic gold medals as part of Team USA. When it comes to collecting WNBA championship rings, no player in history can match Rebekkah Brunson. 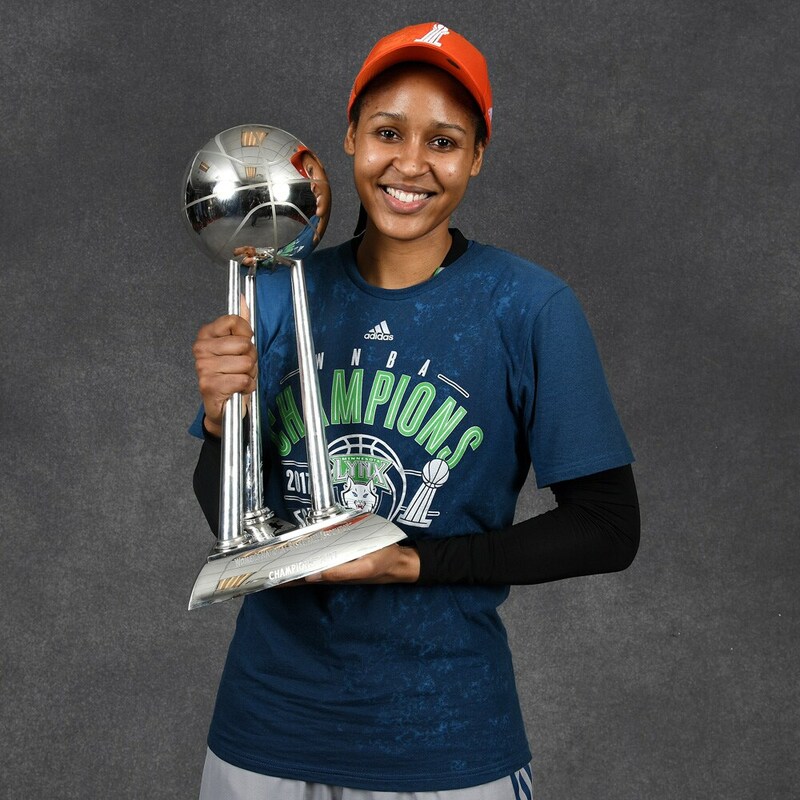 The 14-year veteran became the first player in WNBA history to win five WNBA championships after capturing her fourth as a member of the Minnesota Lynx (2011, 2013, 2015, 2017) to go along with her 2005 title as a member of the Sacramento Monarchs. 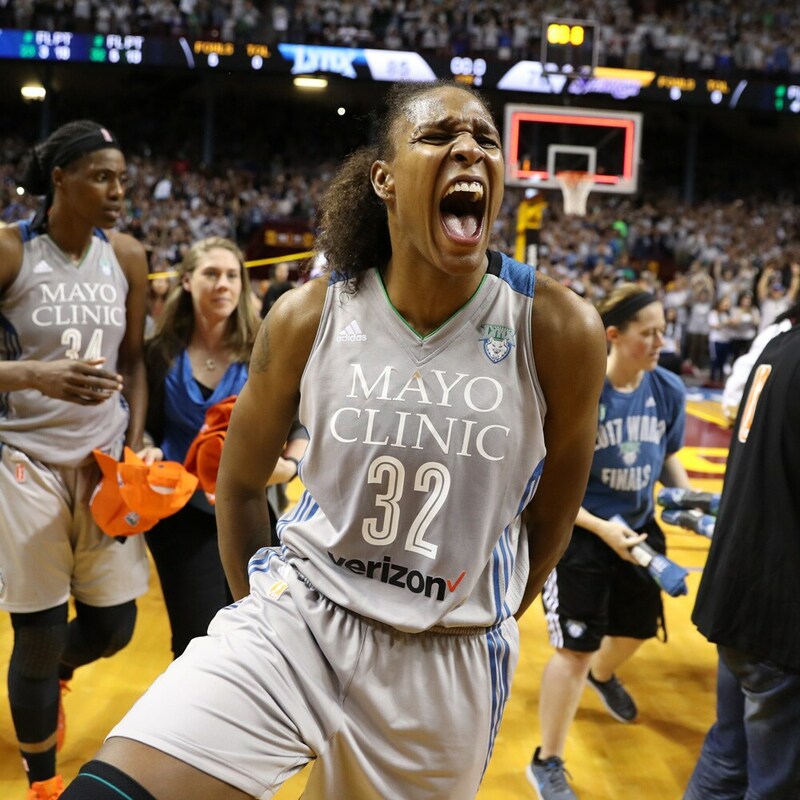 While teammates like Maya Moore, Sylvia Fowles, Seimone Augustus and Lindsay Whalen may get more publicity, Brunson was a catalyst to Minnesota’s success in The Finals. In their three wins she averaged 14.3 points and 8.0 rebounds. In their two losses, she averaged just 4.0 points and 2.5 rebounds.